String of Acquisitions Position Them For Explosive Growth. You’ve heard about the “GREEN RUSH” sweeping through North America and making early investors triple-digit profits. Some investors have been “pushed” into early retirement. The first generation of the Green Rush stocks crushed all investor expectations. Canopy Growth, one of the first Green Rush companies has skyrocketed to more than $50 per share! Tilray ballooned to $300. For investors getting in now, it’s unfortunately too late to make triple-digit returns with the giants of the industry. But, one small-cap pot stock has been quietly making big moves. This company is Cannabis One (CSE:CBIS) (OTC:CAAOF). A vertically integrated Multi-State Operator (MSO) currently sitting at a market value of just over CAD$300 million. Their projected revenues are impressive with US$116 million by the end of 2019, US$289 million in 2020, and a whopping US$561 million by 2021. They recently IPO’d on Feb 26th and their stock has been on fire. 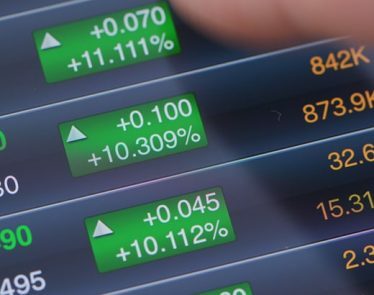 BREAKING NEWS: Horizons ETFs Management (Canada) Inc. to launch Horizons US MJ Index ETF. Cannabis One (CSE:CBIS) (OTC:CAAOF) makes the list as one of its potential investments comprising of 1.68% of their portfolio. Just in April alone, they’ve made two significant transactions to add to their growing asset base. The only entrant in the 2018 Colorado Grow Off — out of 50 competitors — to place among the top 10 in each ranked category: the Fat Face Farms deal provides Cannabis One (CSE:CBIS) (OTC:CAAOF) with a projected 31,725 square feet of cultivation capacity. A definitive agreement was announced on April 17th to acquire Honu assets for US$10.28M. Honu was declared The Best Edible Company at the 2016 Dope Industry Awards, and best edible and best infused product in 2019 THC Classic. This soon to be completed acquisition is expected to provide an annualized US$20.3 million in annual system-wide brand revenue through the Honu channel, during fiscal 2019. By 2020, the company aims to have a presence in Alaska, California, Colorado, Maine, Massachusetts, Michigan, Nevada, Oregon, Vermont, and Washington. Cannabis One Holdings Inc.(CSE:CBIS) (OTC:CAAOF) is looking to expand its state count by 2020, and further grow its dispensary count by 2021. With a multi-state approach, the company can expand its revenue footprint by cross-pollinating its brands in multiple markets. Currently, through its manufacturing-licensed clients in Colorado, Nevada, and Washington, Cannabis One Holdings Inc.(CSE:CBIS) (OTC:CAAOF) has the production capacity to generate just under $1 billion in revenue, based on current market prices. The long term goal for Cannabis One (CSE:CBIS) (OTC:CAAOF) is to be in 10 states, with 100 dispensary locations by 2021. The company has targeted already those 10 states with 50 dispensaries by as early as next year, with the aim to be in Colorado, Nevada, California, Oregon, Washington, Alaska, Vermont, Michigan, Massachusetts, and Maine by the end of its expansionary push. 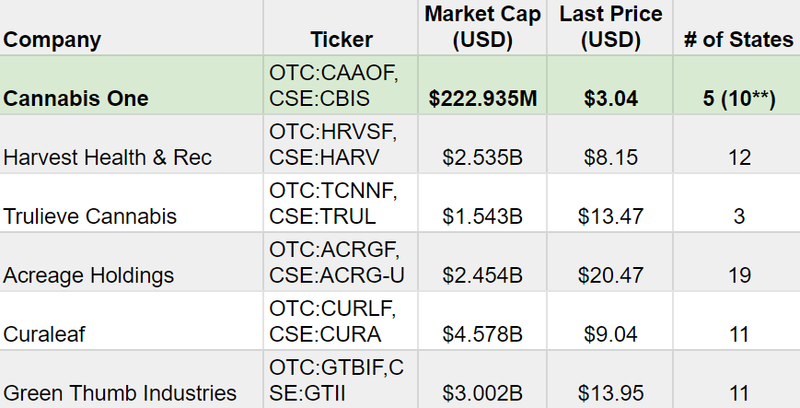 With revenue projected to be $116 million in 2019 and with the number of states Cannabis One (CSE:CBIS) (OTC:CAAOF) operates in, this stock could possibly outperform most of their competition in the list below. Cannabis One Holdings Inc.(CSE:CBIS) (OTC:CAAOF)’s CEO, Jeffery Mascio speaks about their strategy, brands and how they plan on executing it in a recent interview with ProActive Investors. 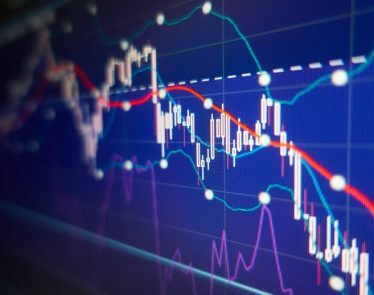 What really stands out when analyzing Cannabis One (CSE:CBIS) (OTC:CAAOF) is the performance of its chain of dispensaries known as The Joint. Revenue from these dispensaries is quite significant, far exceeding the revenue-per-square-foot figures of the top retail names in the country. 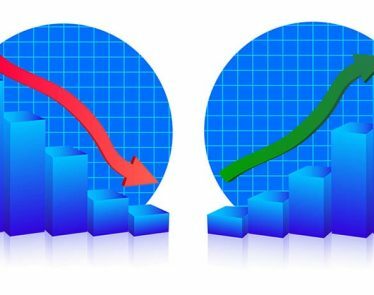 From strictly a revenue-per-square-foot statistic, Cannabis One Holdings Inc.(CSE:CBIS) (OTC:CAAOF) is crushing the retail market (for both the cannabis and non cannabis segments). That’s right, Cannabis One Holdings Inc.(CSE:CBIS) (OTC:CAAOF)’s retail dollars earned per square foot are more than double the second place company. And remember, the company has plans to spread its operations across multiple markets. By gathering and collecting “big data” analytics from its popular The Joint dispensaries, Cannabis One (CSE:CBIS) (OTC:CAAOF) can repackage all offerings to suit each demographic its brands have cultivated interest from, which could easily send its retail figures even higher. 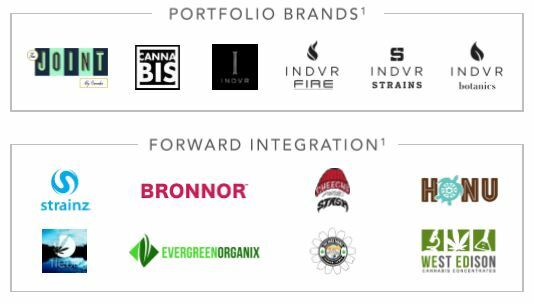 Across three states, Cannabis One (CSE:CBIS) (OTC:CAAOF) is producing its portfolio of brands in almost 100,000 square feet of manufacturing facilities out of its clientele of licensed entities in Colorado, Washington, and Nevada. Each wing brings considerable brand value to the parent company, in unique ways. 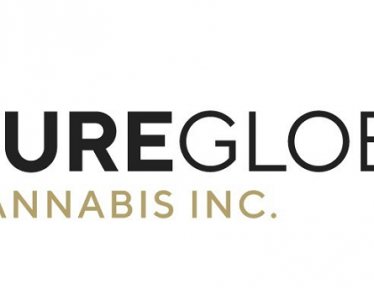 Based out of a state-of-the-art 18,000-sq-ft facility located north of downtown Denver is a premier cannabis product manufacturer and distributor of leading brands, including INDVR Fire, INDVR Strains and is in the process of acquiring Honu’s assets in Washington state. 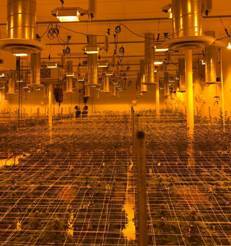 This premier facility is one of the largest marijuana-infused-products facilities in Colorado and among the largest in the nation. The facility can accommodate wet processing for extracted oils, beverages and edibles, as well as dry processing to make pills and dissolvable tablets. More mainstream and popular figures are stepping up to put their name power behind new brands. Celebrity “stoners” such as Seth Rogen, Snoop Dogg, and Cheech Marin are already lending their street cred to cannabis projects, but even more straight-laced figures such as Martha Stewartare also getting involved. 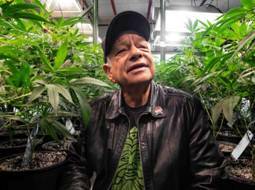 Among these branded celebrity lines is Cheech’s Private Stash, endorsed by actor, comedian, director, author, and legendary cannabis user and activist Cheech Marin—of Cheech & Chong fame. Now available in Nevada and Colorado, the premium cannabis line has aligned with Cannabis One Holdings Inc.(CSE:CBIS) (OTC:CAAOF) to produce, market, and distribute Cheech’s Private Stash products in Colorado. Out of the Washington-based Honu line, the company projects 2019 system-wide brand revenue to reach US$20.3 million. Since its inception, the brand has accumulated a series of accolades, including Best Edible Company, Best Cannabis Brand Design, and Best Sweet Edible in Washington. Easily the most dominant within its market is one of their forward integration partners, Evergreen Organix. The Nevada-based company has all but outcompeted its peers out of existence. Their quality-driven edibles are handcrafted by culinary artists, without cutting any corners and it shows. Using precision dosing and quality extracts in its goods, Evergreen Organix has scored all types of awards, including Best Edible Overall, Best Edible, and has been recognized as The Best Edibles in Vegasby Vegas Cannabis Magazine. All edibles in Evergreen Organix undergo three mandatory state laboratory tests before they’re packaged and sold to dispensaries. System-wide, Evergreen Organix is projected to bring in US$20.8 million in 2019. Also very notable is another forward integration partner is Colorado concentrate brand, West Edison. West Edison specializes in deconstructing the cannabis plant, separating out all the cannabinoids and terpenes, only to restructure them back into products in a clean and effective manner. 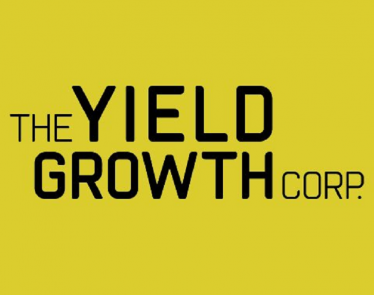 The company has been projected to reach system-wide brand revenue of US$8.1 million in 2019, and has accumulated industry accolades of its own, ranking 1st, for All Concentrates Categories, and Best THCa2 in 2018. In-house, Cannabis One (CSE:CBIS) (OTC:CAAOF) has developed its own successful brands, such as The Joint dispensaries, and INDVR lines of products. The INDVR line comes in three forms: INDVR FIRE, INDVR Botanics, and INDVR Strains. System-wide, the line is projected to yield US$11.1 million in revenue in 2019. The Joint has been voted Best Colorado Dispensary by top cannabis review site Leafly, three years in a row. 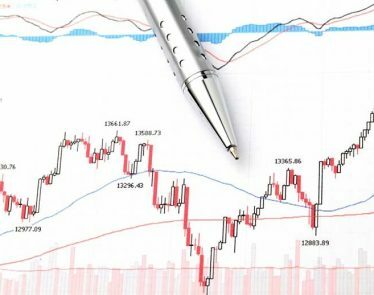 System-wide, the chain is projected to grow to a high of US$83.6 million in 2019. 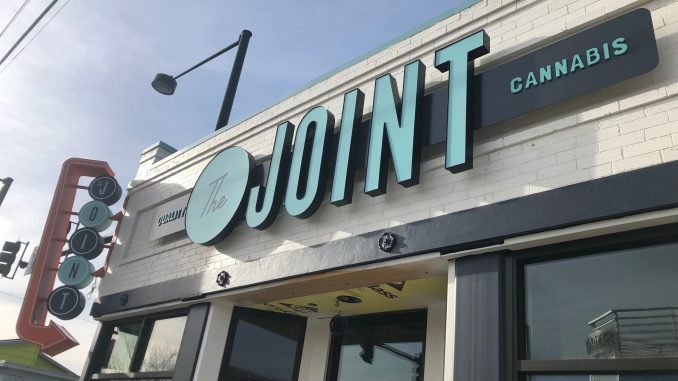 By the end of 2019, The Joint is anticipated to span 25 locations, in 5 states. Grown out by a group of early-movers in the cannabis space, the Cannabis One (CSE:CBIS) (OTC:CAAOF) team has successfully learned on the job since the company’s inception in Q1 2015, under the banner of Bertram Capital Finance Inc.—one of the first US-based cannabis hedge funds. Chairman, President, and CEO,Jeffery Mascio, is long astute to the investment opportunities of the US cannabis sector. Previously serving as Managing Partner for Bertram Global Commodities Fund, Mascio managed in excess of $100 million in assets for Merrill Lynch, Morgan Stanley, and Smith Barney private clients. He also previously founded and acted as CEO of Meridian Capital Advisors, a Registered Investment Advisory firm. 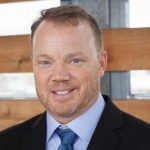 Aiding him in the company’s expansionary strategies is Director and VP, Retail Operations, Brad Harris, who oversees all investment and operational activities of retail and dispensary locations. Prior to this role, Harris was an active owner and operator of 45 restaurants across 7 national and regional franchise brands—accumulating a wealth of B2C expertise. 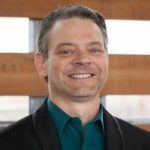 As the company expands upon its goal of reaching 10 states of market presence, Director and VP, Compliance, Darrick Payne oversees keeping the company in compliance. Adept at building out a variety of businesses, Payne previously founded Axis Venture Group and MOXIE Productions. Among the other talented members of the team, VP, Product Development, P.J. Rinker leads the design and development of Cannabis One (CSE:CBIS) (OTC:CAAOF)’s popular INDVR vaporizer lines, and is actively involved in brand acquisition and development. 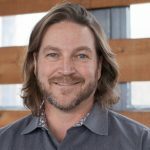 With a career built upon innovation, Rinker previously co-founded Lexa Custom Homes, which developed home designs featured in the Colorado Parade of Homes, and the Colorado Tour of Homes. Cannabis One (CSE:CBIS) (OTC:CAAOF) is positioned for explosive growth with its aggressive acquisition strategy. It’s a small-cap stock, with large-cap aspirations. It’s one pot stock that should be on everyone’s radar. 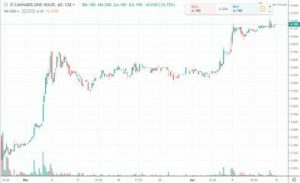 Why Cannabis One Holdings Inc.(CSE:CBIS) (OTC:CAAOF) is a small-cap stock that could soon become a large-cap stock with its acquisition strategy. Over the next two years, Cannabis One (CSE:CBIS) (OTC:CAAOF) aims to have a presence across Alaska, California, Colorado, Maine, Massachusetts, Michigan, Nevada, Oregon, Vermont, and Washington. Once they’ve hit all 10 states, the company will have access to a population of nearly 80 million people. Spread across three states, and with four manufacturing-licensed clients, Cannabis One (CSE:CBIS) (OTC:CAAOF) occupies nearly 100,000 sq ft of state-of-the-art manufacturing facility space. Once operating at full capacity, the company’s revenue potential is just under US$1 billion, when using current prices. 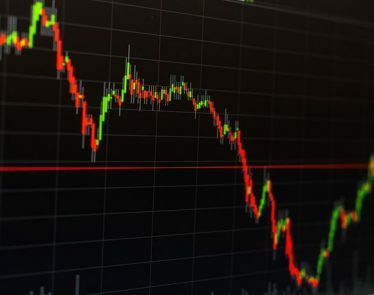 Having already successfully developed brands such as The Joint, and INDVR, Cannabis One (CSE:CBIS) (OTC:CAAOF) has shown it is capable of reading the market and future trends. Now that it has established its footprint across multiple states, Cannabis One plans to have a presence in 10 states, across 100 dispensaries by 2021. Along the way, it will continue to acquire brands and products that it sees as having potential for success within its dispensaries. Cannabis One (CSE:CBIS) (OTC:CAAOF) is led by an ambitious leadership group that was very early to the cannabis party. 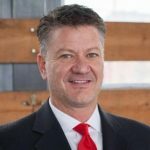 Chairman, President, and CEO Jeffery Mascio is supported by a capable team that includes astute retail expert Brad Harris as VP Retail Operations, Derrick Payne as VP Compliance, and PJ Rinker as VP Product Development. 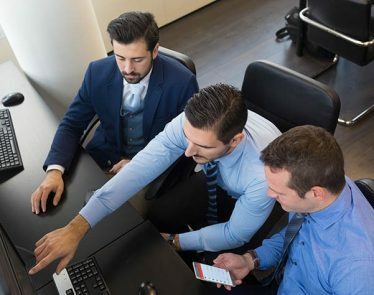 Given the longevity of the company, and its early mover status since 2015, the management team was involved in developing the best practices for the industry. Through its popular chain of dispensaries called The Joint, currently Cannabis One (CSE:CBIS) (OTC:CAAOF) accumulates data from 5 states’ worth of customer base. With this data, the company can select its next acquisitions, and refine its own brand and product offerings. 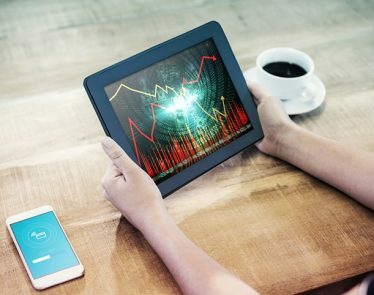 Through this method, the company has already targeted new acquisitions that bring added value to its overall valuation. On a revenue-per-square-foot basis, sales from The Joint far exceed those of the top US retail chains overall, with approximately $13,000 per sq ft.
2) The Article was issued on behalf of a third party, Cannabis One Holdings Inc. Market Jar Media Inc. has or expects to receive the following amounts from Native Ads Inc. in the amount of two hundred sixty four thousand US dollars for 22 campaign days (16 business days). Get Updates For Cannabis One Holdings Inc.